In a new study published in the journal Molecular Phylogenetics and Evolution, a team of international researchers from the Czech Republic, France, and Japan selected and used a novel set of fossil calibrations to get a better understanding of the timing of diversification and historical biogeography of rodents from the family Muridae. 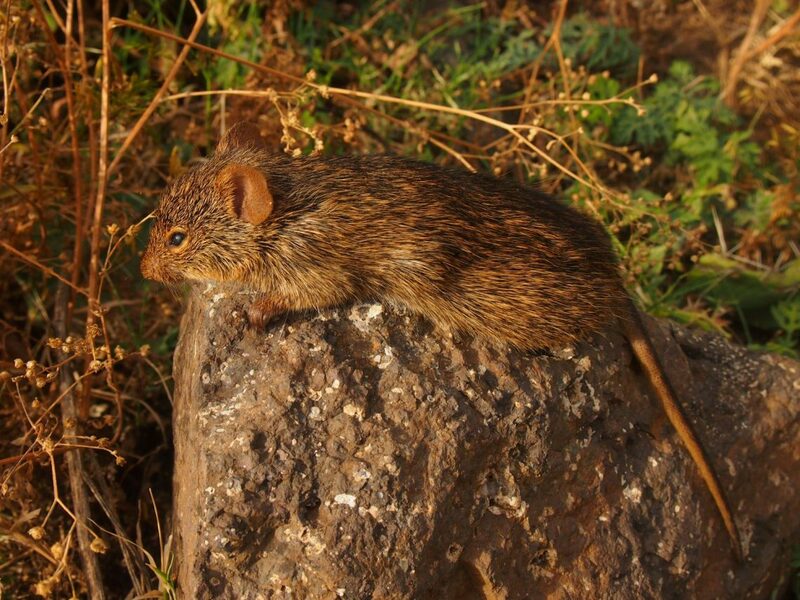 Muridae is the most diverse family of mammals, encompassing about 155 genera and more than 816 recognized species. Collectively, they have colonized highly distinct ecological niches, adapting to a wide array of environments ranging from warm (deserts or tropical forests) to cold habitats (high altitude mountain ranges, tundra). Life habits in murids are also highly diverse, as the family encompasses amphibious, arboreal, fossorial, or terrestrial taxa. Murids are best known for rats and mice, which encompasses two major model systems, the brown rat (Rattus norvegicus) and the house mouse (Mus musculus). Murids are also known for being important reservoir hosts and sources of infection of several pathogens, many of which cause severe human diseases. (Ex. plague, mice typhus, leptospirosis, bleeding fever). To investigate the evolutionary history of murine rodents, researchers relied on molecular data (15 distinct gene fragments) from 161 murid species representing major murid lineages. They used an analytical approach referred to as relaxed molecular clock dating in which rates of evolution (substitution rates) are allowed to vary through time among lineages. This clock was calibrated using a node dating approach based on nine fossil calibrations validated by Yuri Kimura, a paleontologist specialized in fossil rodents and one of the co-authors of the study. The resulting tree describes the phylogenetic relationships of murid rodents and is consistent with previous phylogenetic studies on murids, showing that all sampled murid subfamilies and tribes share common ancestors. Based on nine controlled fossil calibrations, the inferred temporal timeframe indicates that the murid family likely originated about 20 Million years ago (Ma) and that most major lineages started diversifying about 10 Ma. Three subfamilies (Deomyinae, Gerbillinae, and Lophiomyinae) are inferred to have originated in the Afrotropical region, while the most diverse subfamily (Murinae) is inferred to have originated in the Oriental region. Biogeographic reconstructions also allowed to show where and when distinct lineages colonized different regions of the Old World. This new temporal timeframe and the associated set of fossils could be of use for future researches tackling murid evolution and diversification. It also provides a less arbitrary timeframe than those resulting from the so-called Mus/Rattus split that has been often used in past studies. These findings are described in the article entitled Fossils know it best: Using a new set of fossil calibrations to improve the temporal phylogenetic framework of murid rodents (Rodentia: Muridae), recently published in the journal Molecular Phylogenetics and Evolution. I am postdoc in National Museum in Prague. I like to combine molecular, paleontological and morphological data. Gael J. Kergoat is the Research Director at the French National Institute for Agricultural Research (Inra) -- Plant Health and Environment Division. A consistent theme of my work as an evolutionary biologist is aimed at using multidisciplinary approaches for the characterization of biodiversity, with a focus on pest species. With that goal in mind, my research program focuses on 3 questions: i) what are the factors that determine patterns of host-use in phytophagous insects? ii) how did extant patterns of species richness and distribution originate? and iii) how did past climate changes impact the diversification dynamics of insect groups?